Enjoy the top 1 famous quotes, sayings and quotations by Alix Ohlin. Witnessing the pain of others is the very least you can do in this world. Its how you know that when your own turn comes, someone will be there with you. Want to see more pictures of Alix Ohlin quotes? 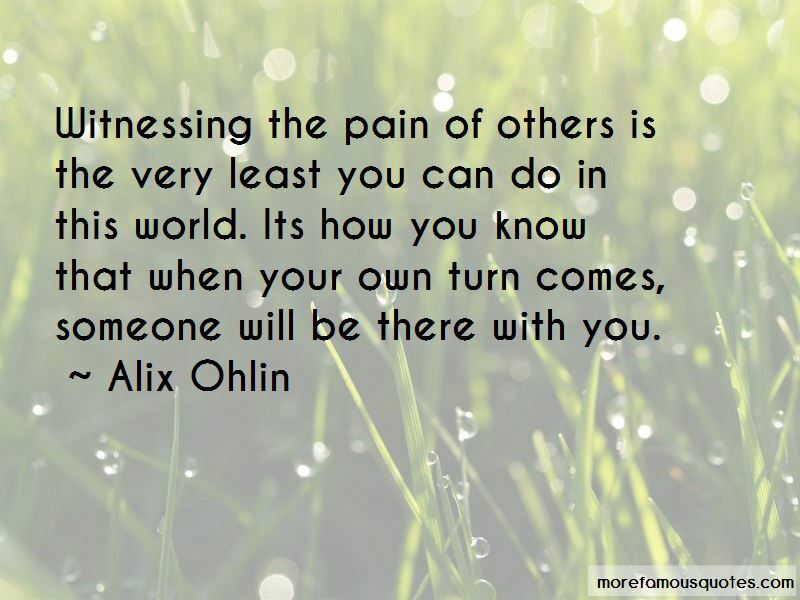 Click on image of Alix Ohlin quotes to view full size.